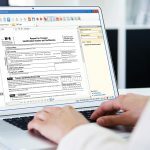 Laserfiche Quick Fields offers a variety of different processes and image enhancements that identify and process documents. For example, the Despeckle image enhancement removes small dots or stray pixels from an image so processes such as OmniPage OCR can read the image’s text correctly. 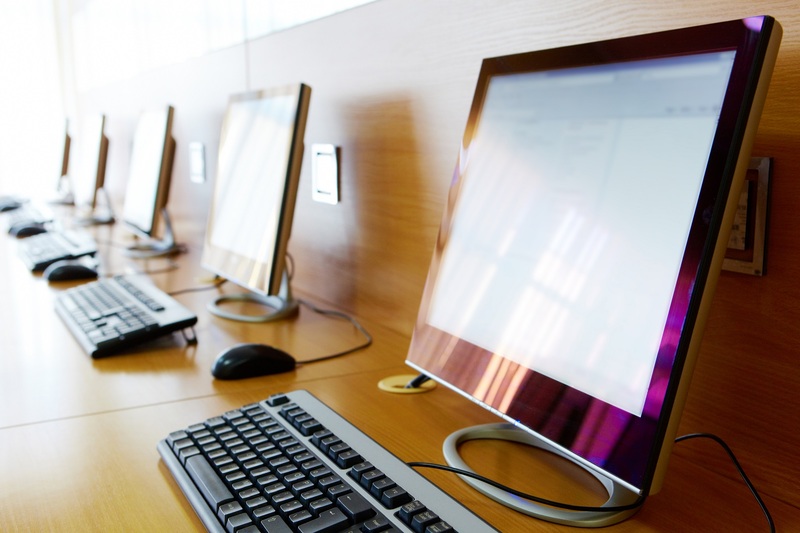 Other processes can determine whether a particular region is marked, extract information from a database, apply annotations to a document, and much more. The release of Quick Fields 9.0 will introduce three new processes: Assign Token Value, Conditional, Token Accumulator. Assign Token Value creates new tokens and updates the values of existing tokens. These tokens can be used like any other token in Quick Fields (filling in field data, creating folder paths, etc.). Example: Blair Inc. processes three similar invoices that have the total amount due in a different location on each invoice. They configure Zone OCR and Pattern Matching to read three different locations on the invoices to find the total amount due. When each invoice is processed, three different values are retrieved (two blank and one with the actual amount due). Instead of placing all three tokens in the Total Amount Due field (all three because they do not know ahead of time which zone contains the correct token value), they use an Assign Token Value process to create one token that contains all three tokens from the Zone OCR process. They place this new token into the field. A Conditionalruns the contained processes if its conditions are satisfied, allowing more granularity within document classes. 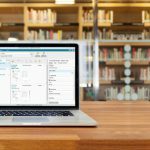 Using this process can remove the need to define additional document classes to classify and process these “special” documents in a different way. Example: Blair Inc. is looking to hire new bilingual employees in the Marketing and Sales departments. All applications submitted are scanned into two different document classes: Marketing Applications and Sales Applications. There is a “bilingual” checkbox on each type of application. If that checkbox is selected, a sticky note is to be added to the application emphasizing that this candidate can speak another language and should be considered for an interview. To do this, they place a Fixed Annotation process inside a Conditional process. This adds a sticky note only to the applications with this checkbox selected. 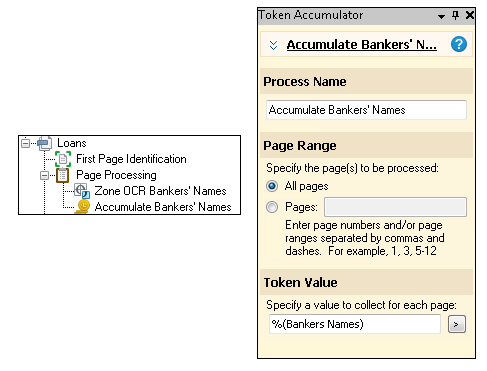 Token Accumulator accumulates values from one or more tokens across a range of pages within the same document and creates a multi-value token with those values. Example: At Ridge Bank, when a company applies for a large business loan, multiple bankers have to approve the application. To indicate their approval, each banker signs a form that has been printed with their name on it and adds it to the loan approval document. When the loan approval document is scanned in, a Zone OCR process can be used to extract each banker’s name from each of the signed approval forms. The Token Accumulator process collects all the values extracted from that Zone OCR process (in this case, a list of all the bankers who approved the loan), and populates a multi-value field.